On January 12 at 4:53 p.m., a magnitude 7.0 earthquake rocked the island country of Haiti, primarily impacting its capital of Port-au-Prince and its nearly two million residents. These images show ELCA partners at work on the ground, thanks to your generous support. Go to the ELCA Disaster Web site to learn more and donate now. 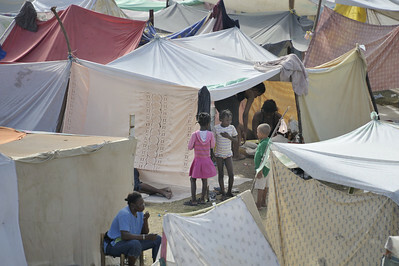 Survivors of the January 12 earthquake in Haiti crowd together in displaced settlements in empty fields and parks throughout Port-au-Prince. 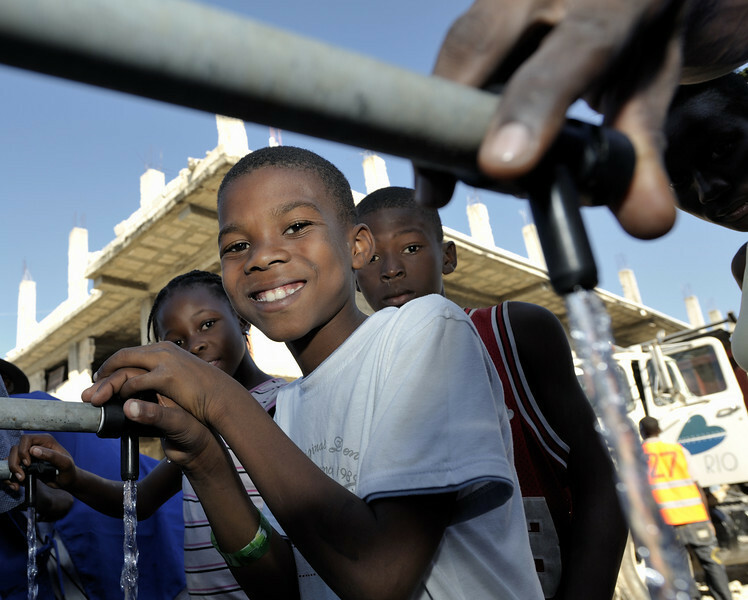 While aid is beginning to flow into the ravaged Caribbean nation, the future of these families remains unclear. Photo by Paul Jeffrey/ACT. 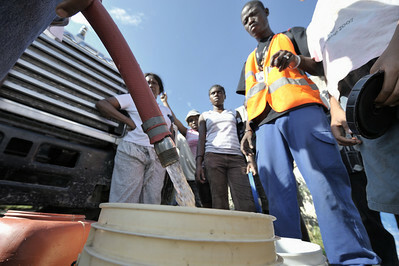 Survivors of the January 12 earthquake fill their buckets with water from a truck in the Belair neighborhood of Port-au-Prince, where the ACT Alliance is setting up water treatment and distribution systems to supply thousands of Haitian families. Photo by Paul Jeffrey/ACT. Under the watch of United Nations troops from Argentina, earthquake survivors in the quake-ravaged Haitian city of Leogane unload emergency supplies provided by Diakonie, a member of the ACT Alliance, and Caritas Internationalis, on January 20. Hundreds of families in the town are homeless following a January 12 earthquake, and the two church-sponsored agencies worked together to bring them help. Diakonie organized an air cargo shipment of 34 tons of relief supplies from Europe, along with basic medicines for 80,000 people. The plane wasn't allowed to land in Port-au-Prince until January 20, yet it was unloaded within hours and aid was shipped immediately to Leogane in United Nations trucks, where it was unloaded by residents and quickly distributed. Photo by Paul Jeffrey/ACT. 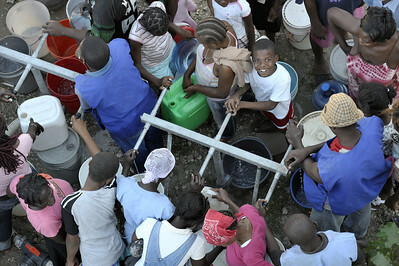 People in the Belair neighborhood of Port-au-Prince who survived Haiti's devastating January 12 earthquake enjoyed safe water for the first time on January 21 after Norwegian Church Aid, a member of the ACT Alliance, installed a water system that provides homeless families with piped in water points. Photo by Paul Jeffrey/ACT Alliance. 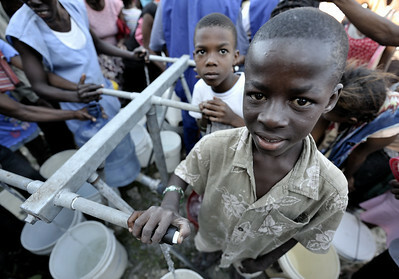 Boys in the Belair neighborhood of Port-au-Prince who survived Haiti's devastating January 12 earthquake enjoy safe water for the first time on January 21 after Norwegian Church Aid, a member of the ACT Alliance, installed a water system that provides homeless families with piped in water points. Photo by Paul Jeffrey/ACT Alliance. 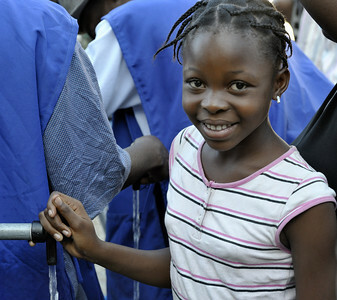 A girl in the Belair neighborhood of Port-au-Prince who survived Haiti's devastating January 12 earthquake enjoys safe water for the first time on January 21 after Norwegian Church Aid, a member of the ACT Alliance, installed a water system that provides homeless families with piped in water points. Photo by Paul Jeffrey/ACT Alliance. 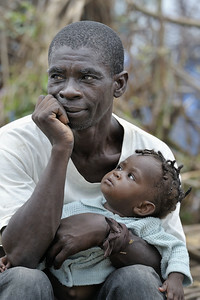 A man and his daughter in a displaced persons camp in Jacmel, a town on Haiti's southern coast that was ravaged by the January 12 earthquake, He and other homeless families in the camp are being helped by Diakonie, a member of the ACT Alliance. Photo by Paul Jeffrey/ACT Alliance. 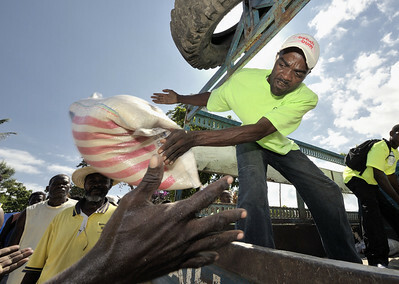 Relief aid is unloaded in Jacmel, a town on Haiti's southern coast that was ravaged by the January 12 earthquake. 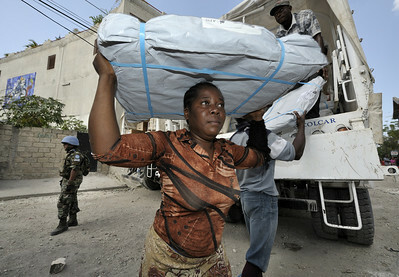 A portion of the aid was airlifted to the region by Diakonie, a member of the ACT Alliance. Photo by Paul Jeffrey/ACT Alliance. Our partner Aprosifa cares for malnourished children at their clinic in Carrefour Feuilles. 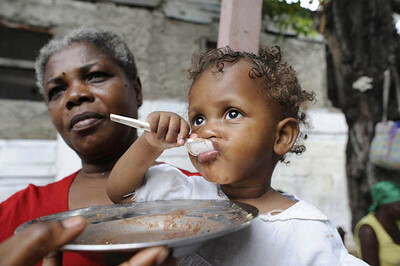 Hunger was widespread in Haiti even before the earthquake struck. 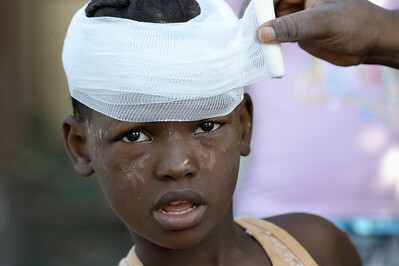 Photo by Christian Aid/ACT Alliance. A boy living in a camp for homeless families helps unload food aid in Jacmel, a town on Haiti's southern coast that was ravaged by the January 12 earthquake. 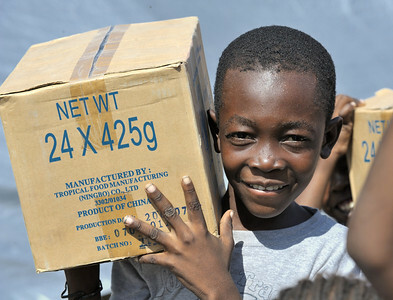 The aid comes from a shipment sponsored in part by Diakonie, a member of the ACT Alliance. Photo by Paul Jeffrey/ACT Alliance. 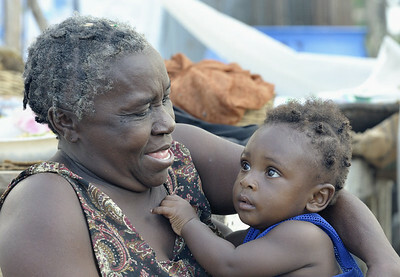 A woman in Dabonne, Haiti, plays with a child in a temporary shelter. 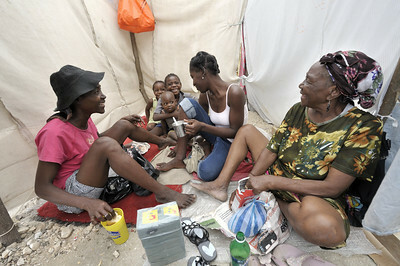 The family was left homeless by a January 12 earthquake. Photo by Paul Jeffrey/ACT Alliance. 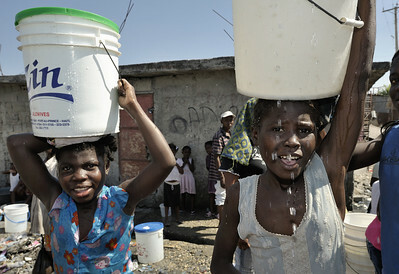 Girls carry water home from a broken pipe in a Port-au-Prince neighborhood days after the January 12 earthquake that ravaged the Caribbean island nation. Photo by Paul Jeffrey/ACT Alliance. 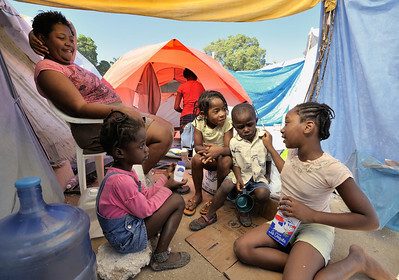 This family is among hundreds of earthquake survivors huddled in tents and makeshift shelters in a soccer stadium in the Santa Teresa area of Petionville, Haiti. They have named the narrow passages between their shelters with street names. 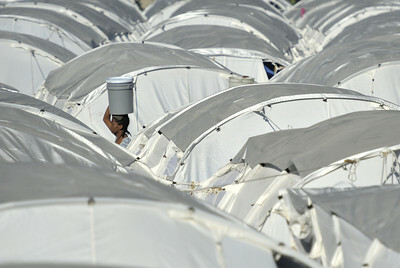 Hundreds of thousands of Haitians were left homeless by the January 12 quake. The ACT Alliance is providing water and other services to this community. Photos by Paul Jeffrey/ACT Alliance.